14th November, 2013, Miao (Roing): The Diocese of Miao extends a warm welcome to the Visitation Sisters of Don Bosco to Bolung Mission in Lower Dibang Valley District. Rev. Srs. Basyrpailin M. Kurkalang and Katini Clare Mao belonging to the Congregation of the Visitation Sisters of Don Bosco (VSDB) reached the Diocese on 23rd September, 2013. They will pioneer the new mission station in Bolung in Lower Dibang Valley District. The Sisters are now staying in Roing under the care of Rev. Fr. 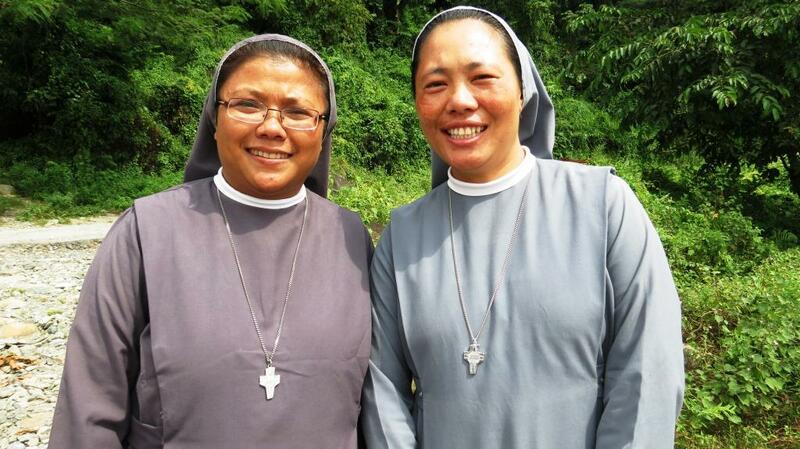 Roy SVD as there is no accommodation available for the Sisters in Bolung at the moment. We thank the VSDB Congregation of and these two Sisters in particular for their courage to take up this new mission station.